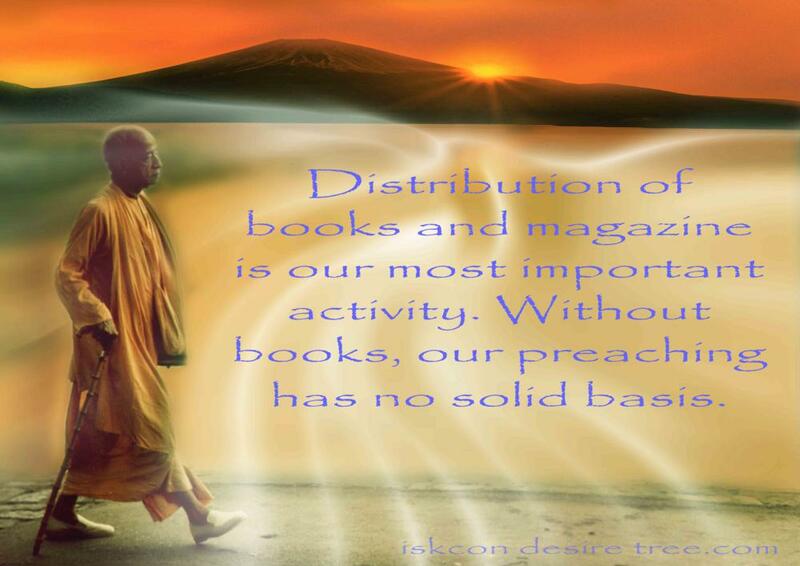 Distribution of books and magazine is our most important activity. Without books, our preaching has no solid basis. 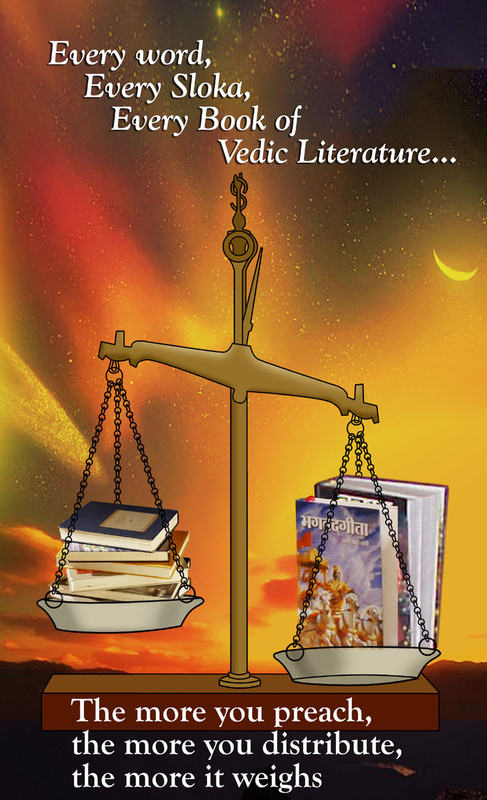 Every word, Every Sloka, Every Book of Vedic Literature… The more you preach, the more you distribute, the more it weighs. More than anything, I want that my students should distribute literature profusely all over the world and this should be our foremost concern how to do it properly. 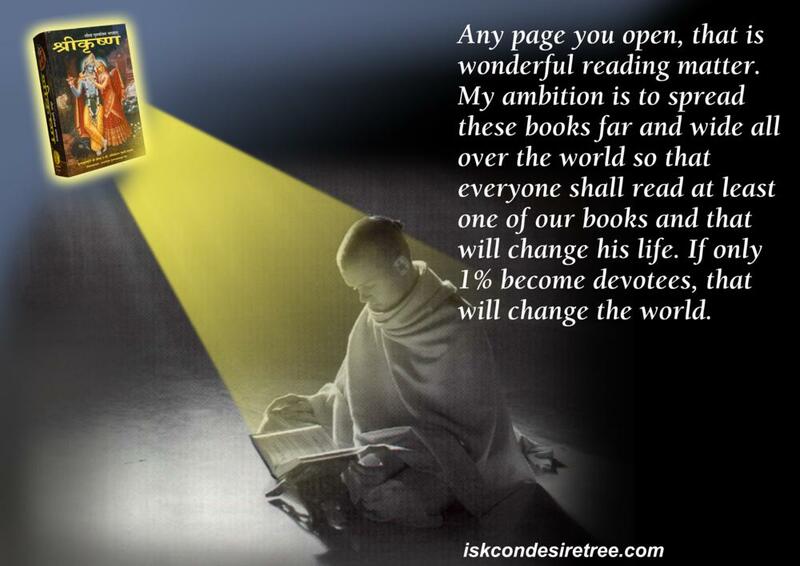 Whenever I ger report of my books selling, I feel strength. 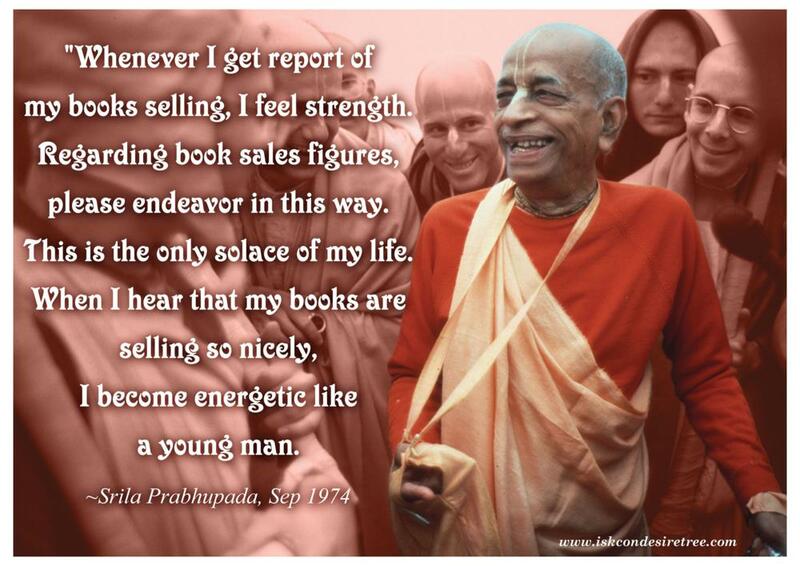 Regarding book sales figures, please endeavor in this way. This is the only solace of my life. When I hear that my books are selling so nicely, I become energetic like a young man. 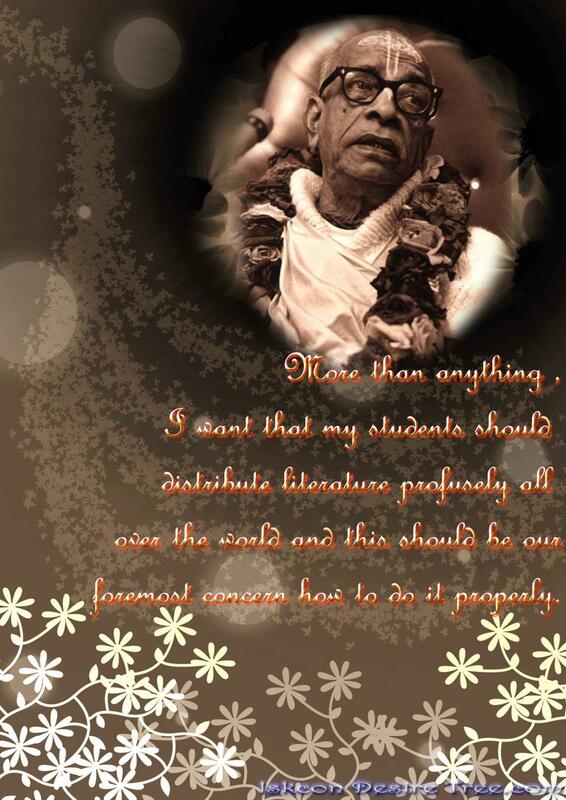 – Srila Prabhupada, Sep 1974. 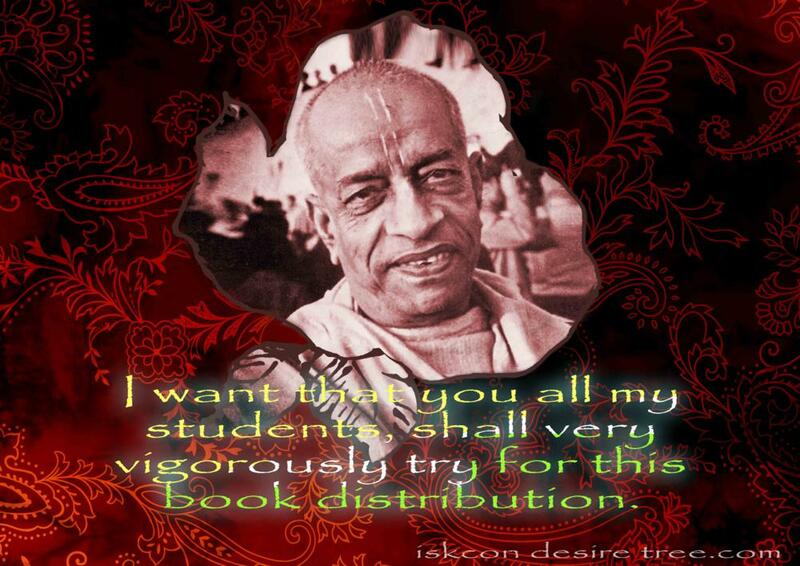 I want that you all my students, shall very vigorously try for this book distribution.